The living beings are the only observing entities that are able to recognize time and space. The man occupies an exalted position. The space and time are mind’s tools and the man occupies the center of cognitive existence. Only observation can give shape and form to the reality, writes Robert Lanza in his book ‘Biocentrism‘. Consciousness is a key biological problem, and, cognition is a key biological process. Yet little is known about them. I see bacterium under my microscope. It has no identity unless I magnify the field. I search for the brain of bacterium and despite magnified field of vision I am not able to locate it. How could it survive in the absence of any brain and respond to ever changing realities of the environment? Bacteria have no memory; they have a sensing feeling. They can feel even one percent change in the environment and respond to it. This ability to adapt to changing environment makes them survive, all that long in their evolutionary history. So, by the token of survival, they are superior to man. But they have no free will. They don’t need God and they don’t pray him to solve their day- to- day problems. Recently, the subject of feeling and consciousness has come under greater scientific scrutiny particularly in the field of neurobiology and psychophysics. One of the greatest living biologist Francis Crick in his book ‘Astonishing hypothesis’ (sub-heading read: scientific research for the soul) made a tentative formulation that the inter-connected neurons and their electro-chemical signals are the sole players of our conscious phenomena and that there is no personal soul or self inside our heads. Richard Dawkins also made similar observation in his book ‘The Blind Watchmaker’ (2006). He wrote: “What lies in the heart of every living thing is not a fire, not warm breath, not a spark of life. It is information, words, instructions”. These observations do not come in conflict with the age old wisdom of East. The Vedas posit that the self as ego is also a brain product conditioned by the outer existence, with which brain is continuously acting and reacting. Meher Baba says this ego is made up of impressions of mind. And that it has to finally go. Going of ego is a real death. It is deconstruction of self in the spiritual journey. The end of becoming is the state of be-ness. It is the end of physical, mental and spiritual journey of self. Sufis call this state as fana. 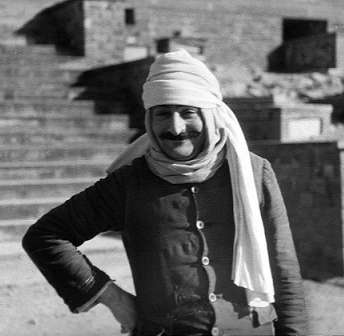 Meher Baba says the first state is Nirvan. In this state, only pure consciousness remains. It is the domain of free will and freedom. In this state, ‘will’ exists with its folded wings, the state of mind of absolute rest – the chit. Sadguru Ramkrishna Paramahamsa speaks about this very state of Fana when he explains how a salt- doll dissolves in the Ocean while on its long journey to find out the depth of the sea. This state is symbolized by Vishnu sleeping on the folded coils of Maya –The Serpent Sheshanag. Meher Baba says in reality, only one existence exists. From atoms to man there is single continuity of emerging forms. All these categories are man-made and are artificial which serve only a taxonomic purpose. Organisms may be different, but they have same feelings and senses and they respond almost similarly. However, the efficiency of response varies due to acquired biological complexity built in their structure. In the universe, this unity is also maintained due to inter-connectedness of the system. ‘Today, no serious biologist could dispute such evolutionary continuity’, Steven Rose wrote in his book, ‘The Future of Brain’. According to him, mind is not spin-off of brain but an extension of minds of animals. That human-ness of humans is not different from animal of animals. No such separation exists in reality. Vedas speak of ‘Tamasoma jyotirgamaya’ – journey from darkness to light. The assertion is not much different from what Dawkins calls ‘a blind watchmaker’. In God to Man journey, Meher Baba speaks of three states of Fana in his book ‘God Speaks’: Fana, Fana Filla and Fana Baqa. Fana the first stage is nirvana. Next comes the state of Fana Filla which Vedanta terms as maha chitanya. Baba says, in Fana Filla, ‘I am God’ state is experienced consciously. The Third and final stage, Fana Baqa, the God’s life, is when God manifests as man, through a long process of evolutionary unfolding, as Avatar or Sadguru. With God, the creation comes into being. The lotus emerges from the ocean. All evolutionary phenomena are in full form. Emerging entities interact, and are selected for their survival value in future. The mind of man is created in the image and likeness of God that makes man a creative creature, an owner of free will. Upto this point, science and spirituality are not in conflict and are in synch with each other. Here onwards, differences creep in, when physical science transgressing its limits, tries to enter the spiritual domain of consciousness and ends up with measuring the neural process of information transfer. Can brain construct consciousness? No. The weight of scientific opinion shows that there is no Cartesian mechanism so far to explain it. What we know for some certain is that the conscious experience cannot be pinned down to a place in the brain. It is non-local and spreads across the brain. Basically brain processes are logical and functional, dealing with the transfer of sensory information. However, the judgments of mind are not based so much on sensory information, as on feeling. The mind and brain often conflict and often the heart wins over head. Therefore, love and hate both win over the rational judgments. Many animals like jelly fish and amoeba do not have brains; yet they feel changes of environment and react to it. How do they do that? Organisms react to the totality of environmental system. Nurture and nature interplay, yet nurture remains the primary player. The urge of love and emotional satisfaction are equally strong, rather stronger than the heartless race for survival. Still, love and security prevails over bread. Skinnerism is dead. Man can not and would not live by bread alone. So do other animals, It is empirically tested at least on monkeys (Harry Harrow 1960). They need warmth of love, softness and parental security too. Meher Baba repeatedly emphasized the power of love. He equated Love with God himself. The love has mastery over man as well as total existence. The language may be different, mode of expression may vary, but all entities are able to convey in their own format in their own language. This language may be physical, chemical or biological. It all depends on the interacting individuals. In atoms the language is physical. The entities behave following physical laws. The molecules have a chemical language. The language is biological among the animals. So it is language barrier, which makes us different entities. This entry was posted in Meher Baba Speaks and tagged Avatar, Avataric Legacy, consciousness, creation, evolutionary biology, God Speaks, manifestation, Meher Baba, Meherabad, Nirvana. Bookmark the permalink.